Tired of trolls glitching up to the roof on the Packanack lodge? Here’s how to get Jason up there to crash the party! Jason Room now open! Take a look inside and… wait, is that FREDDY!? 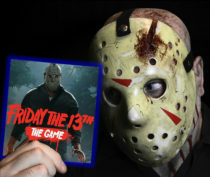 First Look at the new Virtual Cabin from the upcoming Friday the 13th: The Game.